NSEF has several exciting programs in 2018 for athletes in different stages of the LTED Pathway. 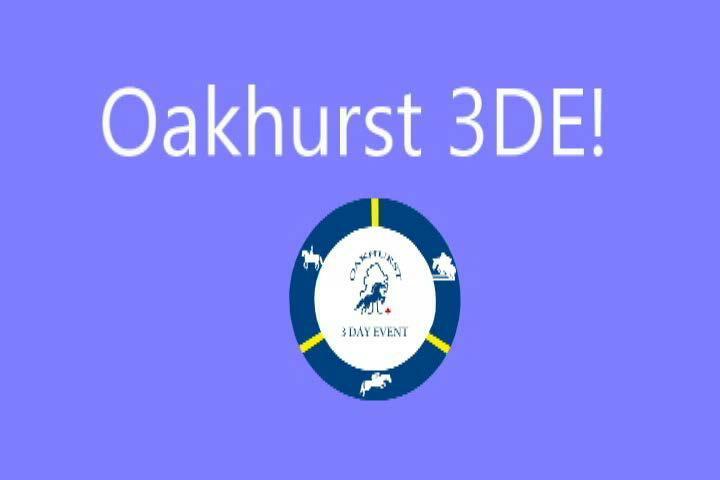 In partnership with Horse Trials Nova Scotia (HTNS), NSEF will be sending a three-member team to an exciting 4-day event in Ottawa at Oakhurst Farm, August 23-26, 2018. More information can be found below. Founded in partnership with the 11 Provincial/Territorial Canadian Equestrian Sport Organizations (P/TSO’s), the J.C. Anderson Athlete Bursary Development Program is an initiative generously supported by J.C. Anderson and the Anderson Family Foundation. This program is for Jumping Athletes competing at a 1.2m level. This program is designed to give young athletes the feel and experience of Olympic style competition. The three phase 1.30m championship will be held annually over a three day period at the Rocky Mountain Show Jumping venue in Calgary, Alberta. Athletes from across North America are welcome to compete and can apply for travel bursaries to offset costs. The championship will award Gold, Silver and Bronze medals to the winners. Athlete development bursaries will be awarded to competitors up to 10th place in the third phase with the Champion receiving $5,000. Atlantic Canada’s Equestrian Sport Organizations are pleased to announce the Atlantic Canadian Equestrian (ACE) Championships. Four disciplines of Dressage, Eventing, Jumper and Reining are included in these Championships being held in late summer and early fall of 2018. For each discipline, there will be two levels of teams. Atlantic provincial equestrian organizations will field teams representing their respective province. This event will be used for athletes in the “Learn to Compete” phase of the athlete pathway by testing their skills with their competitive peers, while at the same time providing an avenue for talent identification for future initiatives. Gold, Silver and Bronze medals to be presented to the top three teams. Individual awards will also be presented. To view the Team Nova Scotia Declared Athlete Standings, click here to go to the Competition Results Page.